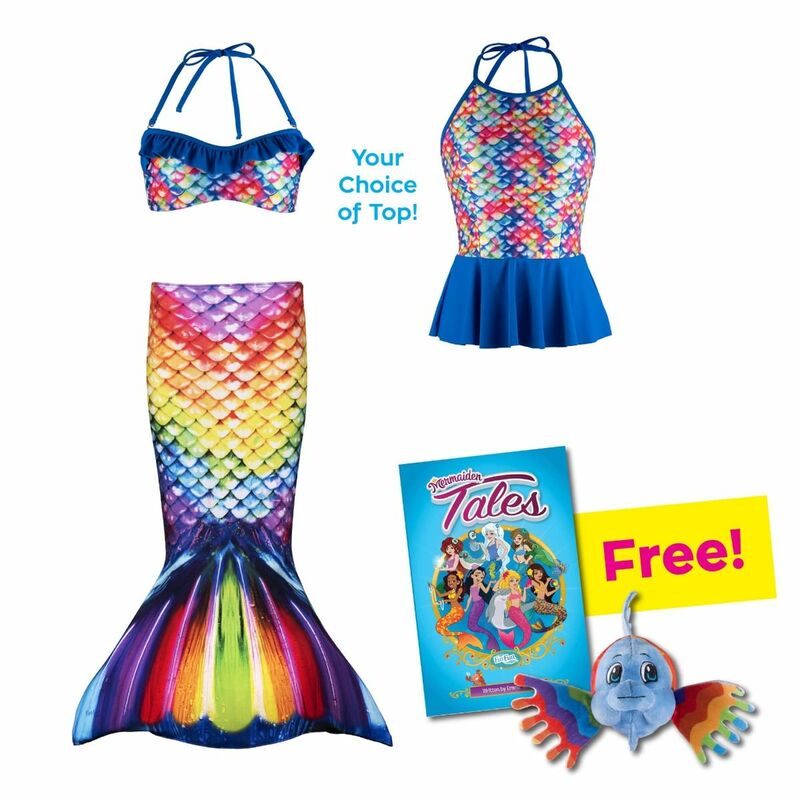 Add to the joy of gift-giving with a toddler mermaid tail set featuring our refreshed Rainbow Reef design! A matching swim top and fun mermaid extras are included! Swim the extra mile with a mermaid tail gift set for your sweet toddler this holiday season! For the little mermaid who loves all the colors of the rainbow, this mermaid tail skirt in our signature Rainbow Reef design is sure to bring happiness whenever the urge strikes to play dress-up! She’ll also get a matching swim top in a bandeau or tankini style to look absolutely magical in all the places she’ll play, in or out of the water. Once she discovers the adorable FinFriend Bubbles the Dolphin waiting within, we’re certain she’ll instantly add this soft plush toy to her stuffed animal collection. As an extra bonus, mom or dad can enjoy reading the bonus Mermaiden Tales book to their child anytime of the year!